The long-planned raid on the heart of the Grik Empire has grown more ambitious - and dangerously ill-defined. Only Matthew Reddy, commander of the old destroyer USS Walker, seems focused on its original intent. Many Lemurians see an opportunity to reconquer their sacred homeland, which was stolen long ago, and have no intention of simply striking a blow and then pulling back. Others, Lemurian and human, have their own agendas - which may not be in the best interests of the Alliance. 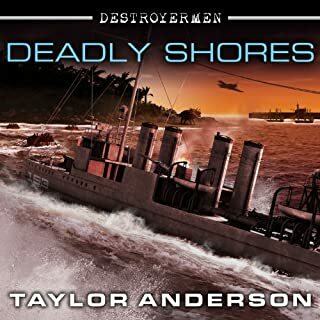 What did you like best about Deadly Shores? What did you like least? It was good to see the previous story continued, but getting a bit over the top. Almost seems like it was written by someone else. I like the different aspects of the story, but come on, this book expanded too much. It appears the only reason for this book was to set up a new story line to sell more books. I will not expand on the areas where the story seemed lacking so that those who read this can make up their own mind, but as for me, I think I am done with this series. Steadfast, The Lost Fleet. Beyond the Frontier. What three words best describe William Dufris’s voice? Not this book #9. Maybe the first several in the series. This author needs to take a deep breath and get back to writing like he used to. Seems like he is only trying to meet a deadline or sell more books. I was very excited for the release of this book and wish I could have been kinder in the review, but it fell short of expectation. 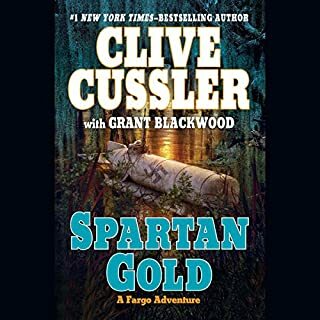 I like Clive Cussler, but this was not what I expected. Too many, and I mean way too many, escapes from impossible situations. A few holes in the plot. The story was linear - each chapter followed the main characters from one place to another to another to another to another.